Another rally in the tech sector gave the Nasdaq the energy to close out October with another record, while broad gains across other S&P 500 sectors sent the rest of Wall Street to session highs. The Nasdaq gained 0.43% on Tuesday, Oct. 31, beating out its last record high set on Friday, Oct. 27. The tech-heavy index ended October with solid gains, rising by 3.6% in its best monthly performance since February. This marked its fourth month of gains in a row. Meanwhile, the Dow Jones Industrial Average added 0.12% and the S&P 500 rose 0.09%. Tuesday's gains pushed the two indexes further into the green for October and secured their seventh straight month of gains. The tech rally that stretched over Friday and Monday, Oct. 30, kept momentum going into Tuesday's session. Chipmaker stocks such as Intel Corp. (INTC - Get Report) , Taiwan Semiconductor Manufacturing Co. Ltd. (TSM - Get Report) , Nvidia Corp. (NVDA - Get Report) , Broadcom Ltd. (AVGO - Get Report) and Micron Technology Inc. (MU - Get Report) were all higher even as industry peer Qualcomm Inc. (QCOM - Get Report) sank. The S&P Semiconductor SPDR ETF (XSD - Get Report) increased 0.9%. Qualcomm shares were sharply lower, down nearly 7%, on Tuesday amid reports that Apple Inc. (AAPL - Get Report) may dump the chip supplier from its iPhone and iPad line up next year. Multiple media reports, first published by the Wall Street Journal late Monday, suggest Apple is already designing its key tech gadgets without Qualcomm chips as the two groups continue to spar over royalty payments. Bloomberg reported that Apple may favor Intel Inc. (INTL - Get Report) or MediaTek Inc (MDTKF components as a replacement. Apple, Nvidia, and Broadcom are holdings in Jim Cramer's Action Alerts PLUS Charitable Trust Portfolio. Want to be alerted before Cramer buys or sells these stocks? Learn more now. Better-than-expected earnings from Kellogg Co. (K - Get Report) and Mondelez International Inc. (MDLZ - Get Report) drove gains in the consumer staples sector. Others on the rise included Kraft Heinz Co. (KHC - Get Report) , Campbell Soup Co. (CPB - Get Report) and General Mills Inc. (GIS - Get Report) . The Consumer Staples Select Sector SPDR ETF (XLP - Get Report) increased 0.84%. Kellogg topped third-quarter earnings and revenue estimates. Profit rose to 85 cents a share from 82 cents a year earlier. Adjusted earnings of $1.05 a share beat consensus by 11 cents. Revenue of $3.27 billion exceeded expectations of $3.21. CEO Steve Cahillane said in a statement that "strong productivity programs give us good visibility into cost savings." Mondelez exceeded third-quarter estimates on growth in its Latin America business. The parent of brands such as Oreo and Triscuit reported a 2% increase in sales and organic revenue growth of 2.8%. Earnings of 57 cents a share beat by 3 cents. Dow component Pfizer Inc. (PFE - Get Report) beat third-quarter profit estimates. Earnings more than doubled to 47 cents a share from 22 cents a year earlier. Adjusted earnings of 67 cents a share beat estimates by 2 cents. Revenue of $13.17 billion was in line with estimates of $13.18 billion. For the full year, Pfizer expects revenue of $52.4 billion to $53.1 billion, up from $52 billion to $54 billion, and earnings of $2.58 to $2.62 a share, higher than previous estimates of $2.54 to $2.60. In other earnings news, Aetna Inc. (AET reported a solid rise in quarterly earnings. Profit rose to $2.52 a share from $1.70 a share, while adjusted earnings of $2.45 a share beat consensus of $2.08. Revenue of $14.99 billion came in below estimates of $15.11 billion. For the full year, Aetna anticipates earnings of $5.95 a share, higher than previous targets of $5.46 to $5.56. The healthcare company anticipates adjusted profit of $9.75 a share, higher than a previous estimate of $9.45 to $9.55. 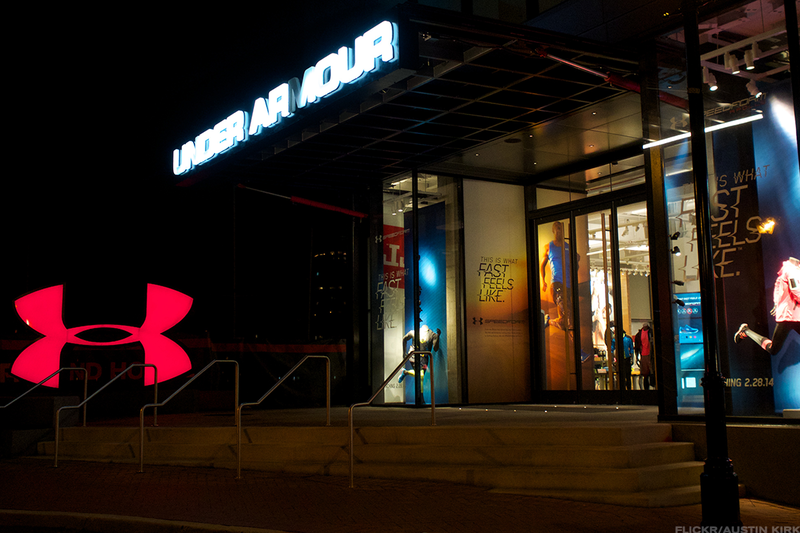 Under Armour Inc. (UA - Get Report) tanked after a drop in quarterly profit and sales. Earnings declined by 58% to $54.2 million and fell short of an analyst target of $84 million. Sales dropped 4.5% to $1.41 billion, falling short of $1.48 billion consensus. CEO Kevin Plank said the company is "working aggressively" to execute its strategy "against this difficult backdrop." Just over 60% of S&P 500 companies have reported earnings so far this reporting season. Of those, 73% have exceeded profit estimates, and 66% have beat revenue forecasts. Economists anticipate blended earnings growth of 7%, or 4.6% excluding energy, according to Thomson Reuters. "The first half of the season has been good relative to expectations," LPL Financial's John Lynch and Ryan Detrick wrote in a note. "Strong upside and big increases in technology and energy earnings have offset financials weakness and driven the upside relative to expectations... We expect solid results may continue in November based on the strong macroeconomic backdrop, resilient estimates, and a weaker U.S. dollar." The Federal Reserve convened on Tuesday for a two-day meeting to discuss monetary policy, which will culminate in an announcement Wednesday afternoon, Nov. 1. It will come as a big surprise to markets if the central bank makes any changes to interest rates, though investors will be looking out for any tweaks to language that might indicate a move higher in December. The chances of a interest rate hike at this meeting sit at just 2%, according to CME Group fed funds futures, but chances spike to 96% at the December meeting. An announcement on rates will be made on Wednesday afternoon. In economic news, employment costs in the U.S. rose by 0.7% over the third quarter, according to the employment cost index. Wages grew 0.7%, while benefits increased 0.8%. The U.S. jobs report for October will be released on Friday, Nov. 3. Economists anticipate a strong rebound after a loss of jobs in September. Manufacturing activity in the Chicago area rose in October to its highest reading since March 2011. Chicago PMI increased to a reading of 66.2 this month, according to the Institute of Supply Management. The measure rose from 65.2 in September. Order backlogs reached their highest since February, 1974. Consumer confidence rose to its best level in more than 16 years in October. The measure increased to a reading of 125.9 in October, its best since December 2000 and far better than expectations of 121. Consumers have grown more optimistic over the short-term outlook, particularly business conditions. However, expectations for job growth in the coming months declined.